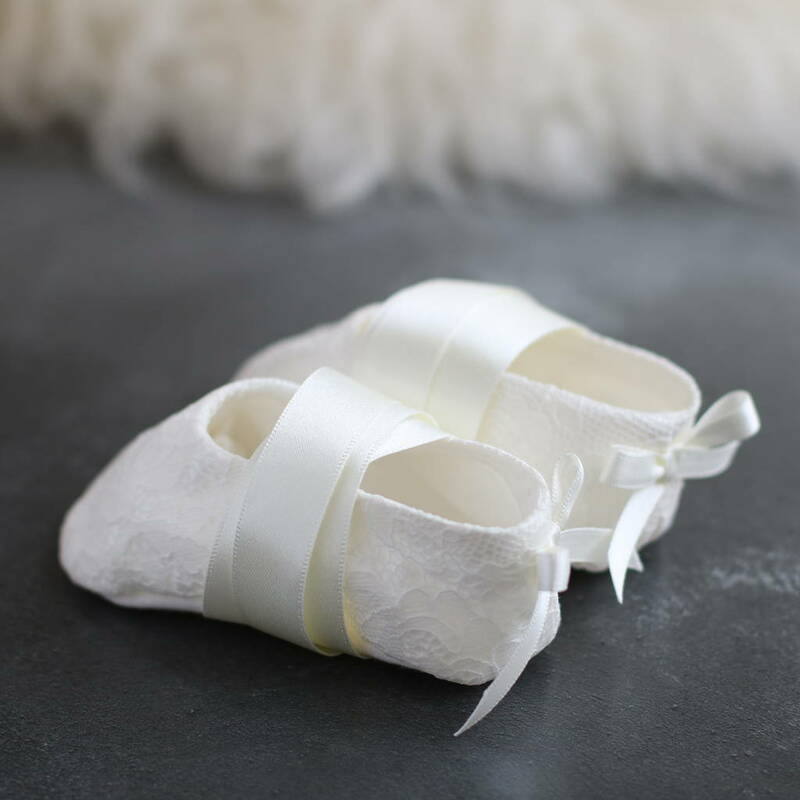 These adorable little booties finish off your baby's Christening outfit. 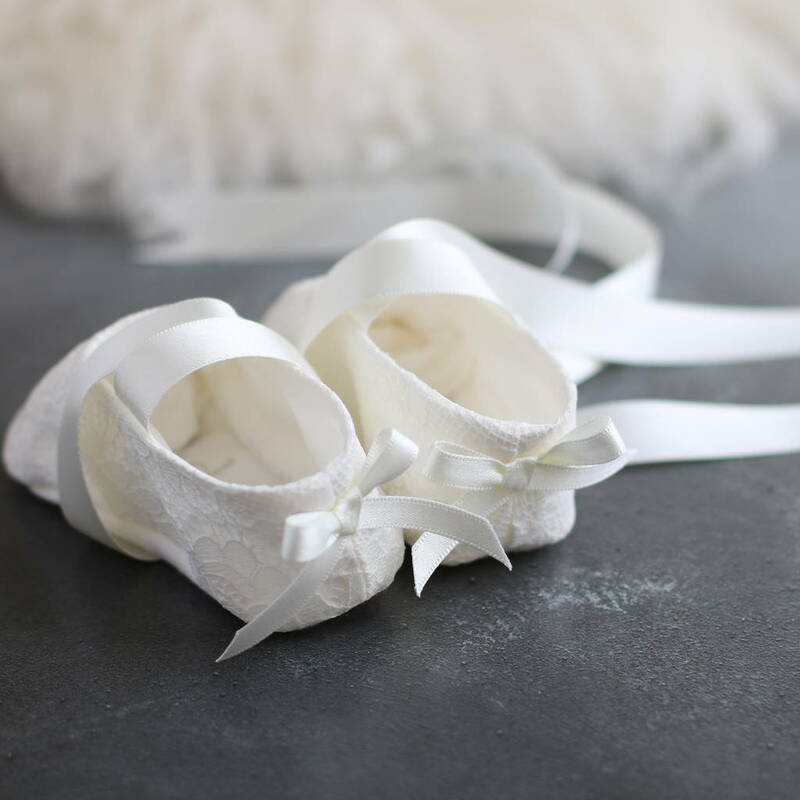 Made to match the Amelia range but look equally pretty with any of our gowns or dresses or your own heirloom Christening dress. Please let us know if you would like swatches of fabric and lace to match an exisitng gown or dress. 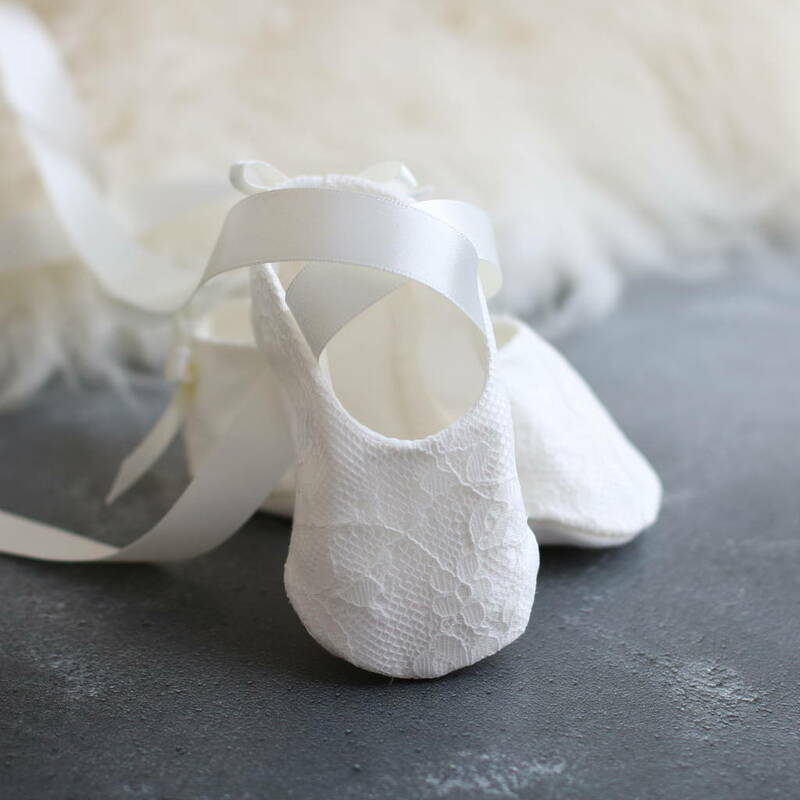 Silk booties with Chantilly lace overlay. 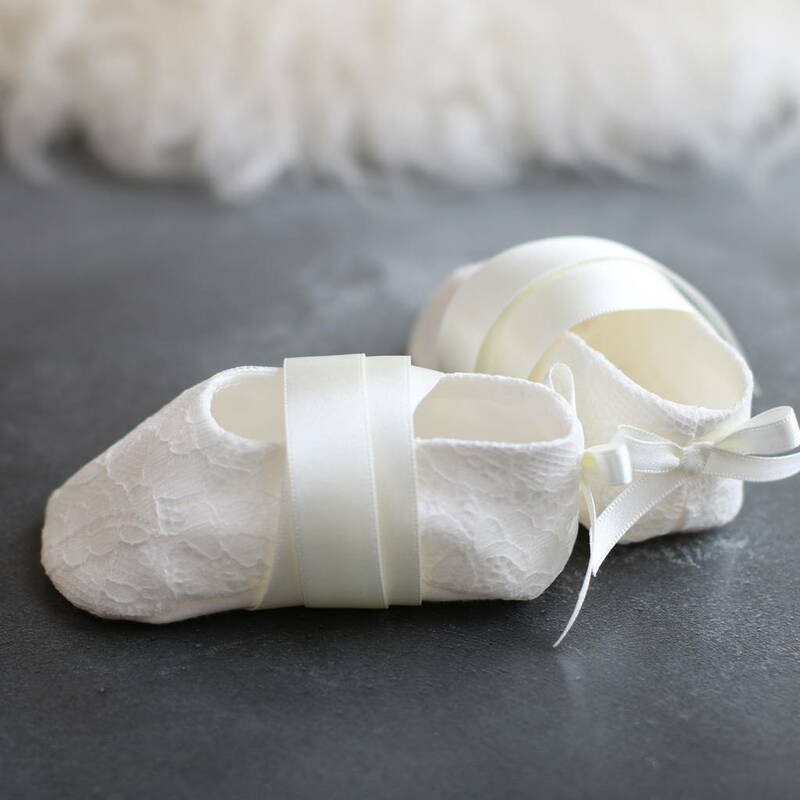 This product is dispatched to you by Adore Baby.